English Heritage is a charity that cares for over 400 historic buildings, monuments and sites. These are enjoyed by 10 million visitors a year, and the organisation has raised over £60 million in donated income. 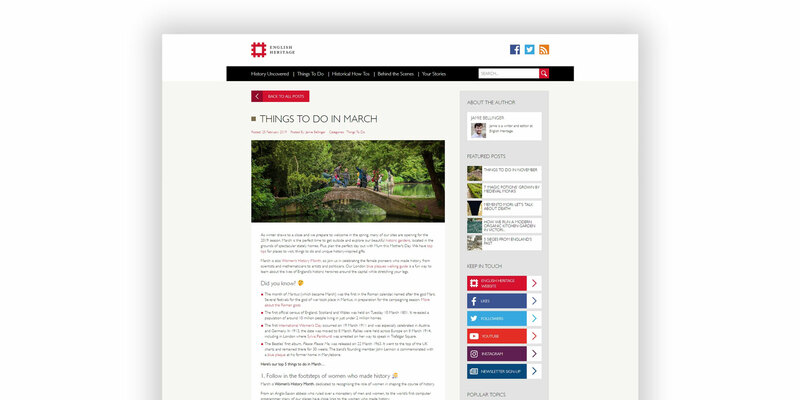 English Heritage commissioned us to build a blog which could be managed and updated by their central team in Swindon, but also allowed users across the country to submit contributions. 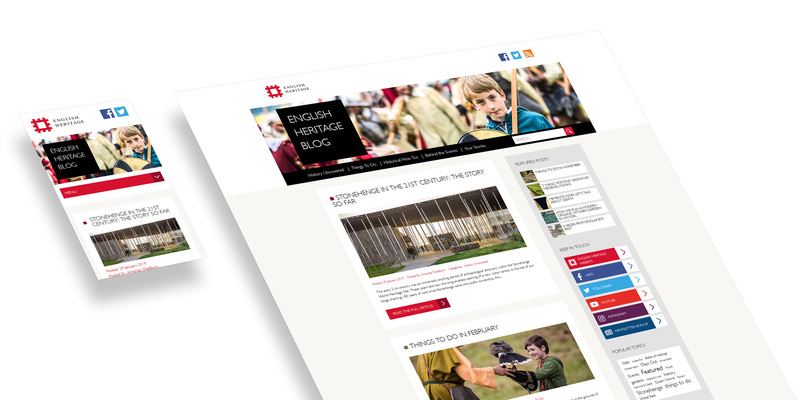 The charity had obtained a design from a third party; we worked closely with the English Heritage team to turn this into a fully-functioning website, suitable both for desktop and mobile devices. We also provide ongoing services for the English Heritage blog. For several years, we have hosted the site and provided technical support, such as troubleshooting, updating links, enabling or disabling existing site features and adding new functionality as required.